Are you getting a ten minute rest break for every four hours that you’ve worked? Are you getting a thirty minute meal break for every five hours that you’ve worked? Are you receiving itemized wage statements? Are you getting paid for your overtime? The Fair Labor Standards Act (FLSA) covers all laws related to rest and meal breaks in the workplace. The FLSA does not require that employers give their employees the opportunity to take rest or meal breaks. But, if an employer chooses to give their employees a break, there are certain rules that must be followed under the FLSA. For example, when an employer allows employees to take short rest breaks, employees must be compensated for their time when they are on these breaks. In fact, employees must be compensated for these breaks in the same way they are compensated during normal hours. For example, if an employee is paid an hourly rate of $30 per hour, this means he makes $5 every ten minutes. So, if this employee is allowed to take a ten minute rest break, he should be paid $5 for the time he is on his break, even though he is not technically working. However, if an employer only allows ten minute rest breaks, and an employee decides to take a twenty minute break instead, the employee only has to be compensated for the ten minute break he was permitted. Employers often allow their employees to take 30 minutes to an hour for meal breaks. In the FLSA, these extended breaks are often referred to as a bona fide meal break. During the time an employee is on one of these breaks, he or she is completely off the clock, meaning he or she cannot be compensated and is not expected to perform any job duties. There are also breaks known as bona fide sleep breaks, which are sometimes given to employees when they are scheduled to work a shift of more than 24 hours. Employees do not have to be compensated for bona fide sleep breaks when their shift exceeds 24 hours, but they do have to be compensated if their shift is less than 24 hours in length. It is important to note that some states do require that employers allow their employees to take short rest or meal breaks. When rest breaks are required by law, they are usually limited to about ten minutes and only given when an employee is scheduled to work a certain number of hours in his or her shift. California is one state that requires employers to give their workers a meal break in certain cases. In California, employees must be given at least one half-hour meal break after working for six hours straight. The laws are a little different in other states, though. Colorado allows employees to take a meal break after only five hours of work, while Delaware only gives employees a meal break after nearly eight hours of work. Because the law varies so much between states, it may be helpful to speak with a local attorney to determine what rights you have when it comes to rest and meal breaks. If you and your employer do not see eye-to-eye on rest and meal breaks, it’s best to speak with an attorney to discuss the issue in greater detail. 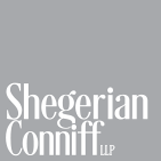 The attorneys at Shegerian Conniff have experience with complaints related to the FLSA, so they are well suited to represent you in your case against your employer. 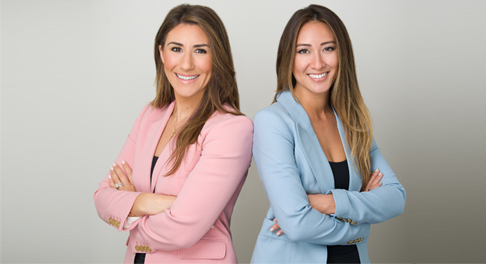 Contact us today to schedule a free legal consultation.